Mortgage rates continue to fluctuate, keeping many prospective borrowers from actively participating in the market. However, despite a recent increase, rates are still relatively low. 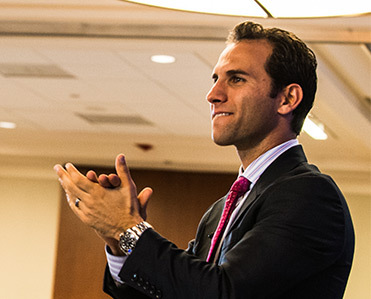 According to the most recent Primary Mortgage Market Survey (PMMS) by Freddie Mac, the average rate on a fixed-mortgage increased by 0.17 percent in a matter of a week. The recent increase in mortgage rates, which now average 4.46 percent, is directly correlated to the better than expected reports on private job growth and new-home sales. Some analysts remain skeptical of the recent mortgage rate increase, as October’s new-home sales may not be completely reliable. The U.S. Census Bureau survey that collected the data pulled from a relatively small pole of samples. Furthermore, skeptics suggest these numbers, while encouraging, may be volatile. An upcoming revision should reveal more accurate figures. According to The Wall Street Journal, “Census Bureau statistics appear to contradict the findings of monthly surveys by housing market analysis firms.” One particular survey, conducted by Zelman & Associates, acknowledged a nine percent drop in new-home sales for the month of October. Furthermore, David Crowe, a chief economist for the National Association of Home Builders, concurs with the findings of the Zelman survey. 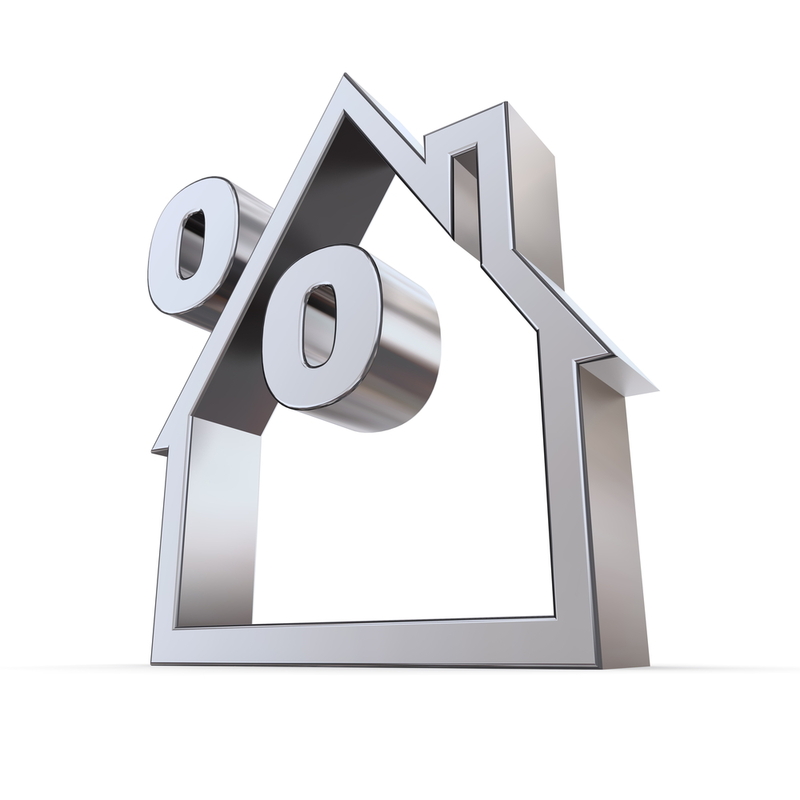 Despite what skeptics may say, the news facilitated the recent increase in mortgage rates. 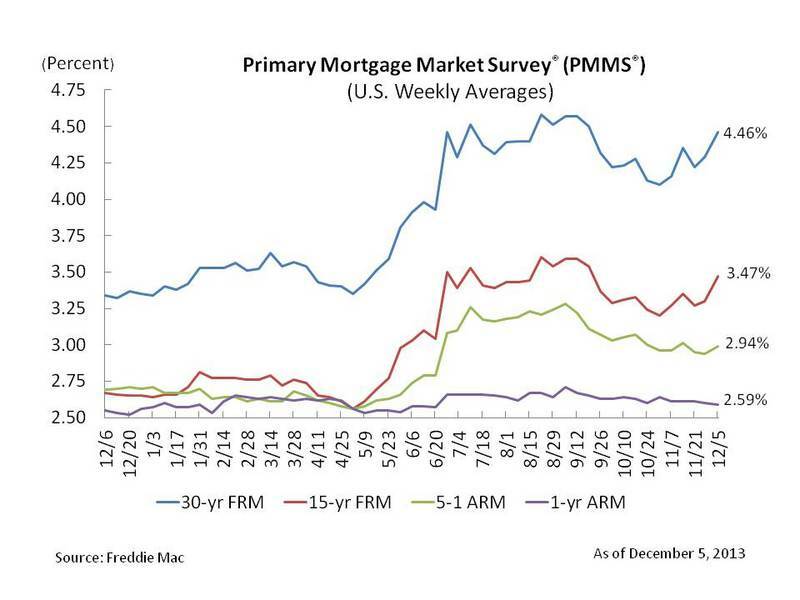 Aside from the 0.17 increase to 30-year fixed-rate mortgages, 15-year FRMs now average 3.47 percent, up from last when they sat at 3.30 percent. A year ago at this time, a 15-year FRM averaged 2.67 percent. In addition to fixed-rate mortgages, some adjustable-rate mortgages were the recipient of an increase. The recent news of new-home sales and job growth increased 5-year Treasury-indexed hybrid ARMs 0.05 percent to 3.47 percent. One-year Treasury-indexed ARMs averaged 2.59 percent this week, down from last week’s 2.60 percent.